There has been a lot of activity, conversations and connections surrounding the concept of a community garden over the last few months. The following is a brief update of the progress and direction that the project is moving towards. A plan of management has been developed and has been uploaded to this site. The plan of management covers areas such as insurance, safety, delegated responsibilities and creates a structured outline for how the garden will be managed. The document is now open for comment and any feedback is appreciated. The closing date for comment is 7th August, 2013. Callala Public School has expressed an interest in . The principal has agreed to the location. Further down the track, the committee is planning to apply for a further garden on council land. 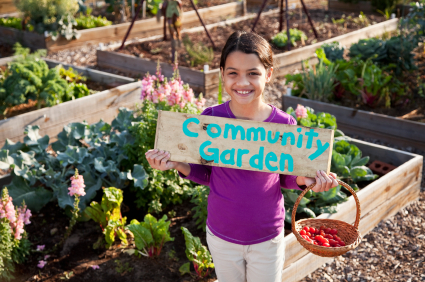 Funding for infrastructure has been applied for in the form of a grant submitted to the Environmental Trust's Food Garden in Schools Program. We are awaiting to hear the outcome of the application, which will help to fund items such as a shed and a water tank. What will happen with all the produce? 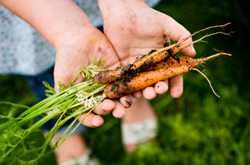 The initial plan is to use the produce in the school canteen and distribute to the local community. The Callala Bay, Callala Beach and Myola residents have shown great interest in the garden and many have signed up to volunteer labour and knowledge towards the garden. As we progress, we will be holding working bees and will put out specific calls for volunteers. Stage 2: Establish a small garden at the front of the school with artwork donated by a local artist and benches. Stage 3: Establish a larger garden on the grounds of the school to be tended by students, teachers and community volunteers. Stage 4: Apply for a larger garden on council land. 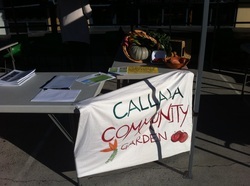 The Callala Community Garden is part of the Creating Callala initiative.